Hope you all have a wonderful weekend and a beautiful Valentines Day, whether you are spending it with your other half, your best friend or even family, as long as you are surrounded by love. 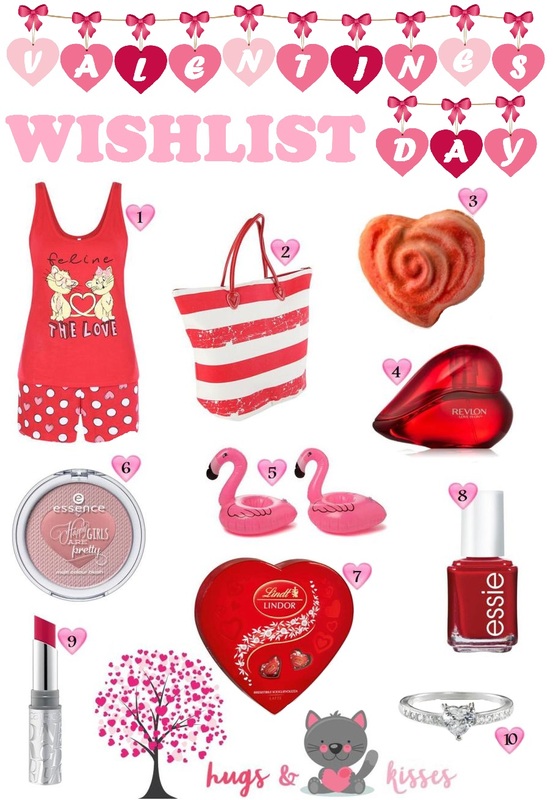 Here are a few items i love for Valentines Day. This tote designed beach bag is the perfect combination of style and functionality. Simply great for keeping your beach essentials together. Spaciously designed with internal pockets which make it great for weekend traveling, shopping or work. The 100% polyester fabrication also allows for easy cleaning. Curiouser and curiouser. This rose-shaped soap will gently fade to a soft creamy colour as you treat your skin to a gentle rose oil and syrup lather. Don’t be late for a very important date with this luxurious soap. Super cute flamingo drink holder for all your summer beverage needs. This two pack set can hold a standard 375ml can or anything else you please. It is the perfect addition to any pool party! Lovely cheeks! the mutli colour blush with a cute knit-print in light rosé ensures lovely rosy cheeks, while the more intensive shade adds a fresh highlight. the pretty heart embossment is a true eye-catcher, too! Gain instant celebrity with this award-winning, classic creamy red polish. this VIP lacquer is more than a brush with fame, it’s a nail color star that’s here to stay.